Do You Need a Stormwater Management Plan? A Stormwater Management Plan is required for all regulated activities, unless your property qualifies as a small project or is exempt. Any other regulated activity where the Township determines that the activity may affect any existing watercourse’s stormwater management facilities or stormwater drainage patterns. The use of land for any purpose involving regulated activities that, measured on a cumulative basis from April 7, 2014, create new impervious areas of more than 500 square feet (residential uses) or more than 1,000 square feet (agricultural uses) and less than 2,500 square feet (residential uses) or 5,000 square feet (agricultural uses) or involve removal of ground cover, grading, filling, or excavation of an area less than 5,000 square feet and do not involve the alteration of stormwater facilities or watercourses. There are no exemptions or small projects for any non-residential uses. 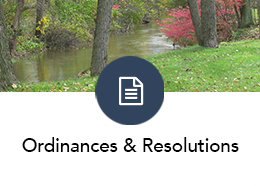 As part of the township’s authorization to discharge waters from the storm sewer system into streams and waterways, there is a series of six Minimum Control Measures (MCMs) that we must demonstrate progress toward meeting. Under each MCM is a simplified, primary method or guide that we use to achieve these goals. These MCMs are part of the East Lampeter Township Stormwater Management Program, which was created to oversee the township’s efforts towards achieving compliance with the NPDES permit requirements. Polluted stormwater runoff is often transported to municipal separate storm sewer systems (MS4s) and ultimately discharge into local rivers and streams without treatment. The Environmental Protection Agency’s (EPA’s) Stormwater Phase II Rule establishes an MS4 stormwater management program that is intended to improve the Nation’s waterways by reducing the quantity of pollutants that stormwater picks up and carries into storm sewer systems during storm events. Common pollutants include oil and grease from roadways, pesticides from lawns, sediment from construction sites, and carelessly discarded trash, such as cigarette butts, paper wrappers, and plastic bottles. When deposited into nearby waterways through MS4 discharges, these pollutants can impair the waterways, thereby discouraging recreational use of the resource, contaminating drinking water supplies, and interfering with the habitat for fish, other aquatic organisms, and wildlife. East Lampeter Township continues to provide educational information and events throughout the year to educate the community on stormwater issues. Increasing the public knowledge of stormwater management, stormwater pollution, and infrastructure and methods and ways to protect water quality is essential to improving water quality locally and regionally. Any type of flow found in a storm sewer system that is not entirely stormwater. This major source of pollution typically occur during dry weather conditions and can result in toxic conditions within a stream due to the lack of dilution. Illicit discharges can enter the system through illegal connections, intentional dumping, accidental spills, or through cracks in stormwater conveyance. Firefighting activities are not considered illicit discharges. East Lampeter Township Stormwater and Public Works staff actively inspects all pipe outfalls that discharge into local streams. Should an illicit discharge be found, the event is logged and an investigation into the cause is begun. If you see an illicit discharge please contact the Township immediately by phone at 717-393-1567. East Lampeter Township enters into a memorandum of understanding with the Lancaster County Conservation District to fulfill this MCM. Township staff also reviews construction site conditions for required controls. East Lampeter Township adopted a new Stormwater Management Ordinance on April 7, 2014 that requires all new land development projects with over 500 square feet to infiltrate the first one inch of rain. This provides water quality benefits for all future projects. East Lampeter Township will also promote projects to retro-fit traditional stormwater infrastructure. East Lampeter Township is required to minimize stormwater pollution which is generated at municipal facilities including maintenance yards, municipal buildings, and parks. The Public Works staff at East Lampeter Township has developed written standard operating procedures to ensure daily operations are being conducted in a manner that protects water quality. East Lampeter Township Public Works Department also conducts street sweeping, litter control, and storm drain clean outs to reduce stormwater pollution. East Lampeter Township provides Tool Box talks with the Public Works staff on a regular basis to ensure that they continue to focus on pollution prevention. The farming community plays a significant role in East Lampeter Township’s efforts to improve local water quality. In Pennsylvania all farms are required to have a Conservation Plan and Manure Management Plan or Nutrient Management Plan. Identifies immediate or potential resource problems that can hurt production. Helps to comply with environmental regulations. Adapts to your changing operational goals. Establishes a reasonable schedule to apply needed conservation practices. Facilitates the protection, conservation, and enhancement of existing natural resources. Provides long-term management improvements to ensure continued production for future generations. 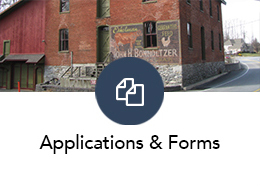 In the first half of 2016, East Lampeter Township contracted with Lancaster Farmland Trust to complete farm visits to conduct education, outreach, and assessment of BMPs (Best Management Practices – activities, facilities, measures, or procedures used to manage the volume, rate and water quality of stormwater runoff.) 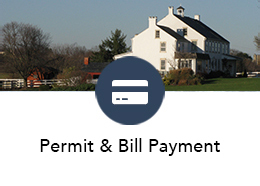 throughout the Township, including areas within the Pequea Creek, Conestoga River, and Mill Creek watersheds. Results for the entire Township are pending. 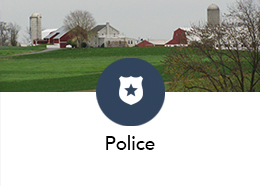 East Lampeter Township will continue working with the agriculture community to ensure long-term economic productivity, regulatory compliance, and natural resources protection.